Drinking a fruit or vegetable juice every day helps in being active and remain fresh throughout the day. Other added benefits of drinking fruit or vegetable juice is that it supplies your body with all required minerals and vitamins, improves appetite, helps in proper circulation of blood and keeps skin glowing. One of the healthiest choices of juice is carrots. I got a packet of juicing carrots, planning to make some fresh carrot juice with them. Then I thought to add in some ginger to give a spicy tinge. Ginger helps in reducing nausea, aids in digestion and provides heartburn relief. 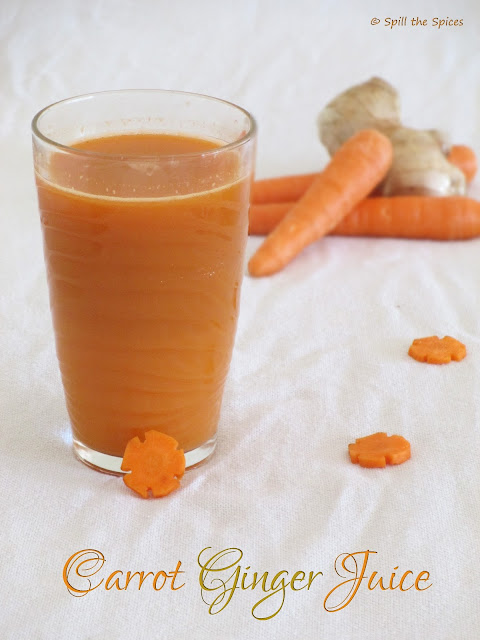 Carrot juice is known for beta carotene which gives the body vitamin A, B, E and many minerals. The health benefits of drinking carrot juice are good eyesight, bones and teeth, skin and hair as well as helping in cancer prevention. Pour some ice and enjoy this fresh healthy juice! 1. Peel the carrots and ginger and cut into small pieces. 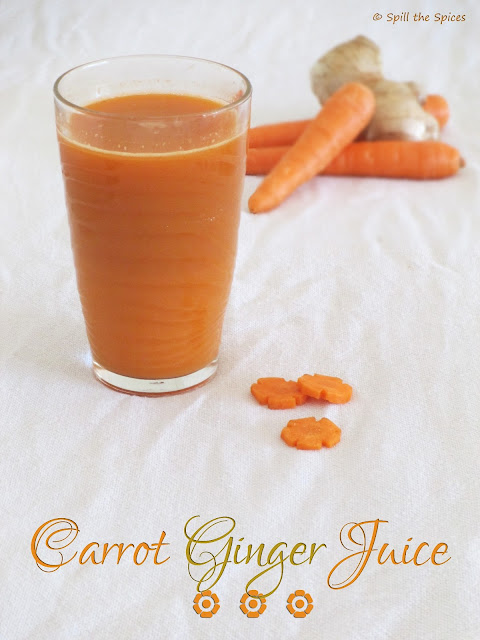 Add carrots, ginger and 1/4 cup water in a blender and blend. 2. Then add rest of water, sugar and blend again well. Strain the juice. Pour into a glass and serve immediately. 1. The amount of sugar depends on the sweetness of the carrots. 2. You can also add in lemon juice to give a bit of tangy taste. healthy juice.. love to take a sip..
Looks healthy and yummy !!! i love to add ginger in carrot juice, it taste heavenly. Delicious, refreshing and healthy juice Sona. 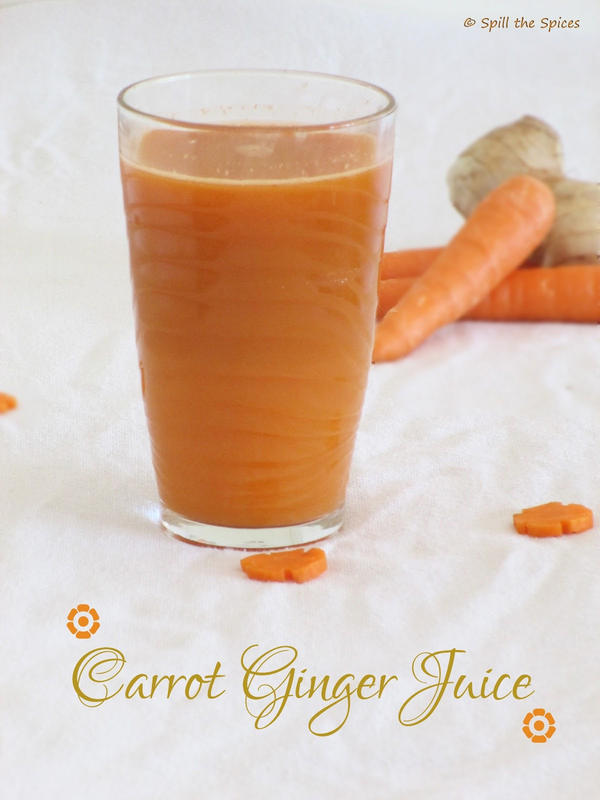 Healthy refreshing juice, love the addition of ginger to it.